Roderic "Stanley" Dallas in his Sopwith Triplane during 1917. 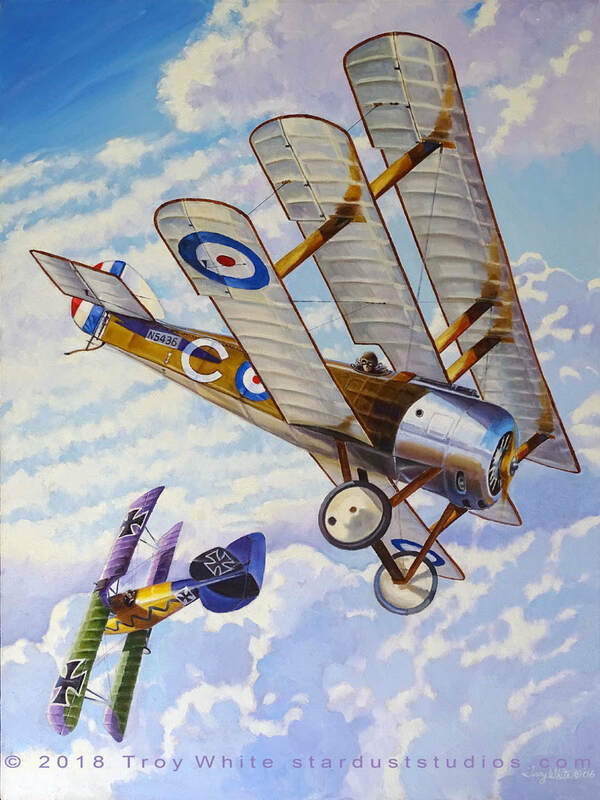 "Queenslander over the Western Front"
Born on 30 July 1891 at Mount Stanley in South Eastern Queensland, Stan Dallas joind the Royal Naval Air Service in June 1915 and was transfered to N1 Wing RNAS at Dunkirk in December 1915. 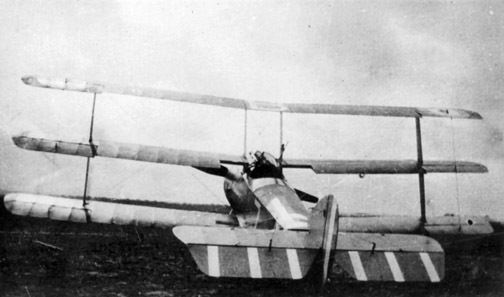 He scored his first victory on 20 February 1916. Stan's score rose steadily and in September he transitioned to the new Sopwith Triplane. 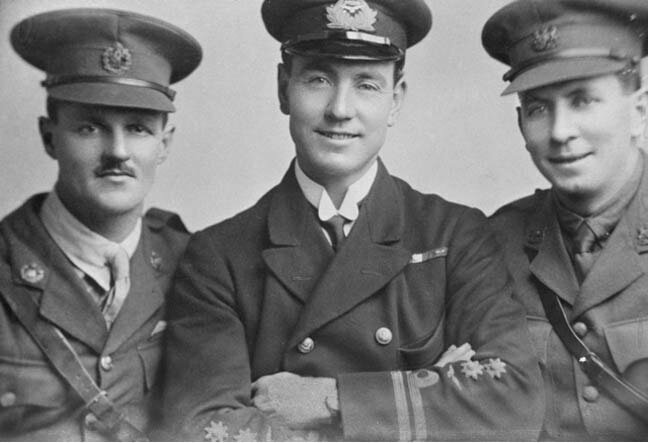 By the the end of January 1917 his score had risen to 10. Then in "Bloody April" alone he shot down 12 shot down enemy aircraft bringing his score to 23. 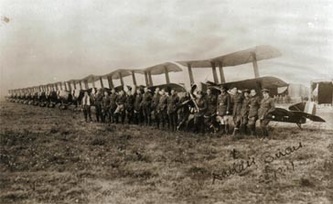 In June 1917 he was given command of No. 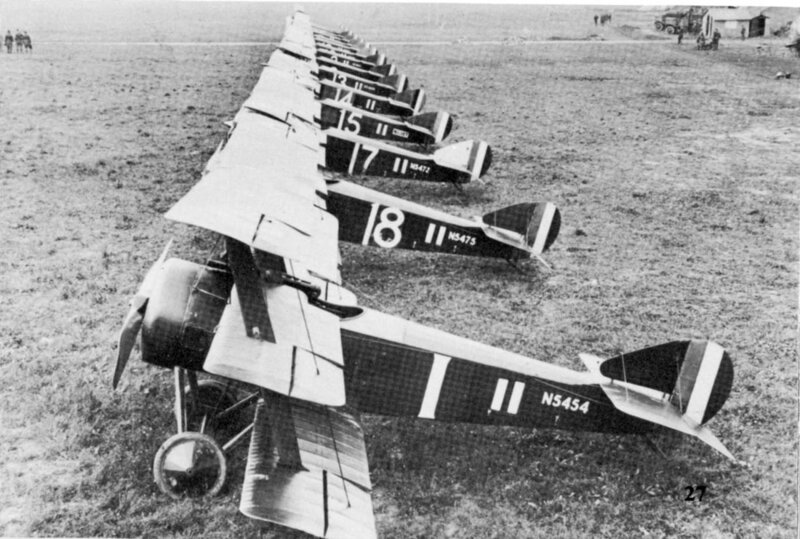 1 Squadron RNAS. On 1 April 1918 the Royal Air Force was formed from the RFC and the RNAS and Dallas was posted to command 40 Squadron equipped with the S.E.5a. 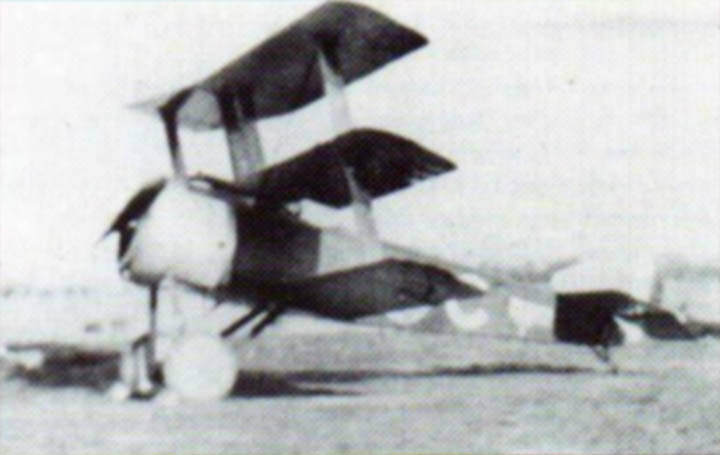 With 40 Squadron he scored at least 12 more victories. 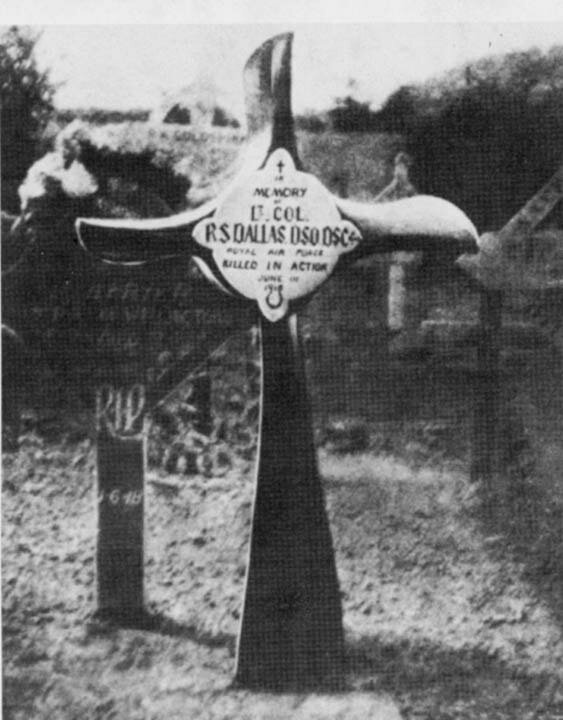 His last victory came on 30 May 1918. 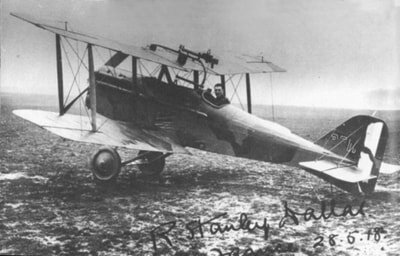 On 1 June 1918 Squadron Leader Dallas was flying SE 5As with 40 Squadron RAF. While returning from the second mission of the day he went to the aid of another RAF pilot who was under attack but was bounced by three Fokker triplanes. 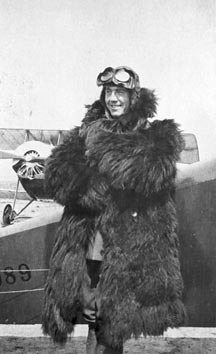 In the ensuing dogfight the charismatic Australian was shot down and killed by Lt. Hans Werner, commander of Jasta 14 was credited with the victory. Werner was an ace with six victories. Stanley' score of aerial victories is generally regarded as the second-highest by an Australian, after Victorian Robert A. Little. There is considerable dispute over Dallas's exact total. While his official score is commonly given as 39, claim-by-claim analyses list as few as 32, and other research credits him with over 50, compared to Little's official tally of 47. Stan's biographer Adrian Hellwig credits Dallas with 48 victories.